The research project was commissioned by the DOH's “Committee on Chinese Medicine and Pharmacy”. The leading researcher on the project, Mr. Chieh-chi Yu is also an assistant professor at the School of Pharmacy, China Medical University, Taiwan. 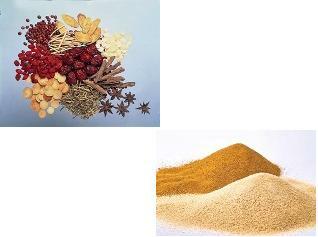 He pointed out that traditional Chinese herbal extract in granule has some disadvantage. For instance, the ingredients in the granule could deteriorate owing to moisture in the air. In addition, the flavor is sometimes too bitter and the medication volume too bulky. Modern technology stimulates the innovation of traditional Chinese medicine. The patients will take less daily dosage of herbal extract granules for convenience and have the same or even better efficacy of treatment. This is a piece of good news to TCM industry.